It’s always fun looking back at old PC ads, right? Back when 48KB of RAM was a huge deal, or when a 450MHz processor was the norm, or when 10MB of storage space was more than anyone expected to fill in a lifetime. Nowadays I have multiple terabytes of storage capacity...and it just keeps filling up. One of 2016’s large-scale PC gaming trends—emphasis on large—was the rapid inflation of download sizes and drive footprints. It’s becoming a problem, and one that’s fast putting PC gaming out of reach for some people. Let’s dig into why before examining some potential solutions. I love our all-digital future. I really do. Moving to Steam and away from traditional retail channels has enabled a much more diverse games industry—releases as small and meditative as Sorcery! or as gun-happy as the Doom reboot. It’s allowed for the revival of long-dead genres like the isometric CRPG, leaving us with Wasteland 2 and Divinity: Original Sin and Pillars of Eternity. It’s given us back the B-games, the middle of the market I thought died with THQ—games like Shadow Warrior 2 and Obduction, too big to feel “indie” in the traditional sense but still comparatively small when put up against games from Ubisoft and EA. And if I contrast the size of my Steam library with my not-so-huge apartment...well, I’m pretty grateful my games don’t take up physical space nowadays. I’d be drowning in jewel cases. 2016 gave way to some truly massive releases though—and again, I’m talking massive in terms of hard drive footprint, not marketing dollars or shelf presence or whatever. The largest I’ve seen: The double-packed Call of Duty: Infinite Warfare and Modern Warfare Remastered. Call of Duty: Infinite Warfare - 75GB so you can be bored by this guy for six hours. Want to take a guess at how much space the pair requires? 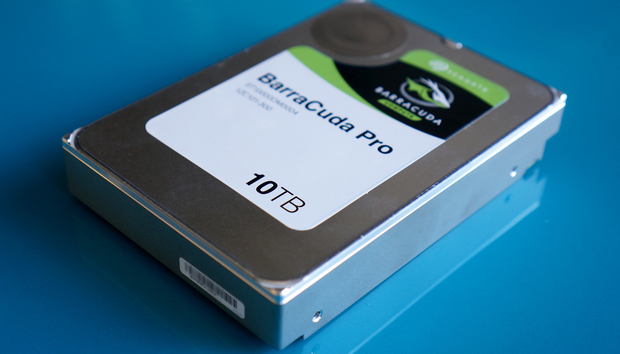 Brace yourself and brace your hard drive, because it’s 120GB. Yes, over 100GB of space to install the pair, with Infinite Warfare taking up 75GB of that all by itself. Others aren’t far behind. Gears of War 4? 73GB. Forza Horizon 3? 50GB. The aforementioned Doom? 65GB. Hitman? Also sitting at 65GB now that its first season is complete. There’s a reason games take up this much space, and we have only ourselves to blame for demanding ever-increasing fidelity. High-resolution textures and uncompressed audio are storage hogs. Now it’s commonplace—and also a bit baffling. Solid-state drives are getting cheaper every week it seems, but that space still comes at a premium. Most people I know are running—at most—a 500GB SSD. Factor in your OS install and a few programs and you’ve only got enough room for four or five of these massive games. Crazy. The original Titanfall made headlines in 2014 for its 50 GB install. More important, and more pressing, is the fact that it’s simply not feasible for many people to download 50GB of data a couple times a month. I’m blessed with an excellent Internet connection here in San Francisco, but my colleague Brad Chacos doesn’t have quite the same luck in New Hampshire, nor do most people in the United States. A 50GB-plus game install could tie up your bandwidth all day, or maybe multiple days. The situation is even worse if you have a data cap to contend with—a reality now for many in the United States, thanks to Comcast’s recent “Oh gee, only one percent of our users need a terabyte of data per month” lockdown. I bet a good chunk of that one percent plays and installs a lot of video games. Even if you only install a single game each month, you’re talking maybe 60GB to 70GB for the game itself, then another few GB for those day one patches and probably some multiplayer matches. There’s nearly a tenth of your monthly 1TB usage, gone. What irks me is that for many people, these supersized installs are completely unnecessary. Sure, there are edge cases where performance might be better with uncompressed audio or textures (that was Titanfall’s argument), but by and large it’s for enthusiasts with high-end hardware. If you’re running a game on a single GeForce GTX 1060, do you really need assets designed for 4K? Probably not. If you’re playing in English, do you need to install uncompressed audio for a dozen other languages? Nein. And if you only ever plan to play singleplayer, do you need all of the multiplayer stuff too? Though it’s largely completed on the PC, the weird transition period between physical and digital media has left us with some troublesome baggage—namely, that we still package games as if they were being pressed to disc, and everything needs to be included in the box. A better model is readily apparent. Software already uses it, and has for years. When you go to install Microsoft’s Visual Studio, for instance, you’re given a long list of files you may or may not need. Mark the ones you want, ignore the rest, and save yourself some drive space. Pretty standard, right? So why not in games? Oh, we’re just starting to see this modular approach taken in video games. Shadow of Mordor, for instance, allowed players to install the oversized “HD Content” pack if they had enough VRAM to make higher-res textures viable. Fallout 4 is doing the same, with its recently announced 58GB (58GB!) high-resolution texture pack being offer as an optional add-on. Call of Duty—of all things—has decoupled its singleplayer and multiplayer portions ever since Modern Warfare II. If you own any of the games in Steam you’ll notice, for example, separate entries for Call of Duty: Black Ops II, Call of Duty: Black Ops II – Multiplayer, and Call of Duty: Black Ops II – Zombies. That method was unwieldy and left my Steam library a mess, but it’s even cleaner now. Call of Duty: Black Ops III and Infinite Warfare simply listed their singleplayer and multiplayer modules as DLC, so you can uninstall it the same as any other add-on. I’m not saying these are the only—or even the best—solutions. But I offer them up to hopefully get us talking about this issue before it gets worse. The games industry needs to ease the burden of these gargantuan installations. Let the people who want (and can handle) 80GB downloads continue as normal, but the flexibility of the PC as a platform should mean there’s a way for people who don’t need the whole package to pick and choose, be it by accepting downgraded assets or by installing only one mode at a time, or whatever else developers can think up. The data-capped masses will thank you for it, developers—as will our poor SSDs.